2. Complete a layout using the sketch, and add it to our blog using the Inlinkz tool below. Please use the link to your blog post where you have uploaded your layout (not your general blog address). Here are some layouts from our Design Team using our September Kit, "Fly Away"
teamed with grey and cream is just so so lovely together. in her hair - aged 72! She is very "artsy" & loves to dress real trendy so I made a page that reflected her wonderfully bohemian personality. As well as misting, masking & dripping the delicious "Lindy's Stamp Gang" mists all over the place I also had fun creating my own little mannequin. I used the Prima packaging as my base, applied one of the Kaisercraft mannequin rub-ons then "dressed it up" using some of the lace (misted bright pink - Granny's favourite color! ), made a belt from the resin roses that came with the Prima flourish & a choker necklace made from bling from the flourish too! We're off to visit Granny soon so I'm framing this layout for her & I know she'll love it!! I wanted to tone down the background damask paper so I used a credit card to apply some gesso, then sprayed it with the mist in the add-on. Right after spraying it I rolled paper towels across the paper so it would blend into the background instead of looking like mist. This is a photo of my mother that I've been wanting to scrap for a while. The colors in her shirt were perfect with this kit. Check back tomorrow when I'll show you one more layout for our sketch challenge. 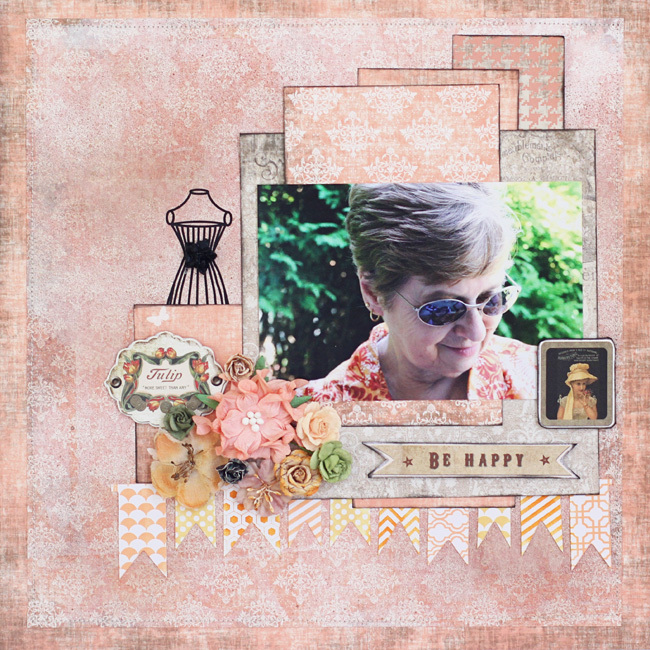 Design team member Joyce Lawrence created an awesome tutorial to go with her layout! Such a beautiful sketch & love the varied takes on it! Gorgeous sketch and your DT is amazing. 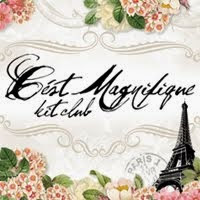 Their layouts are awesome, thanks so much for sharing their amazing talent. Absolutely beautiful!! The talent is so inspiring! 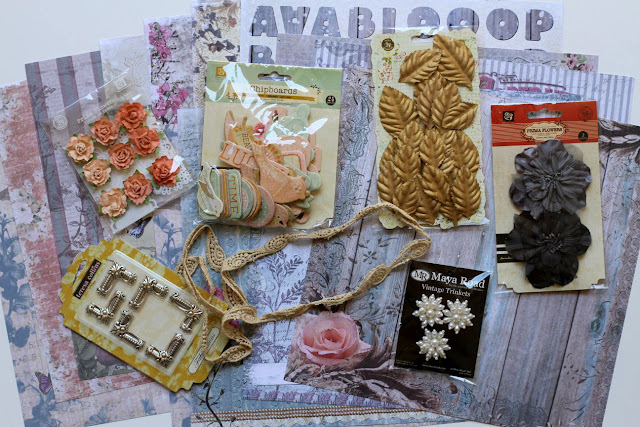 LOVELY sketch, and fantasticly beautiful inspiration layouts from the design team! WOW! Awesome Sketch. Wonderful work from the DT. 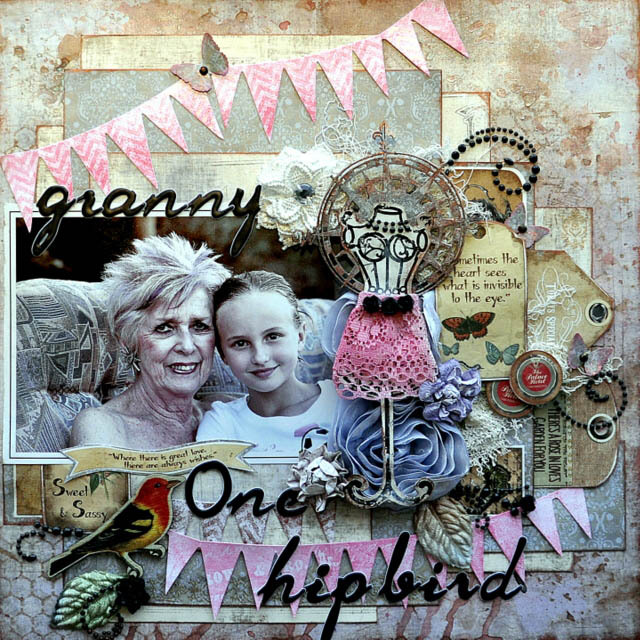 I found your challenge at the Scrap Challenge website - hope you like my version! Our October Kit "Last Kiss of Summer"
A Layout from Erin & Who Are We Sponsoring?